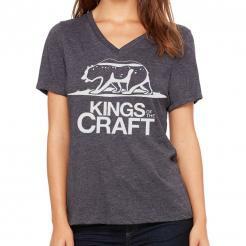 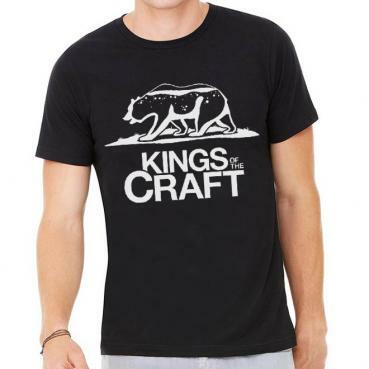 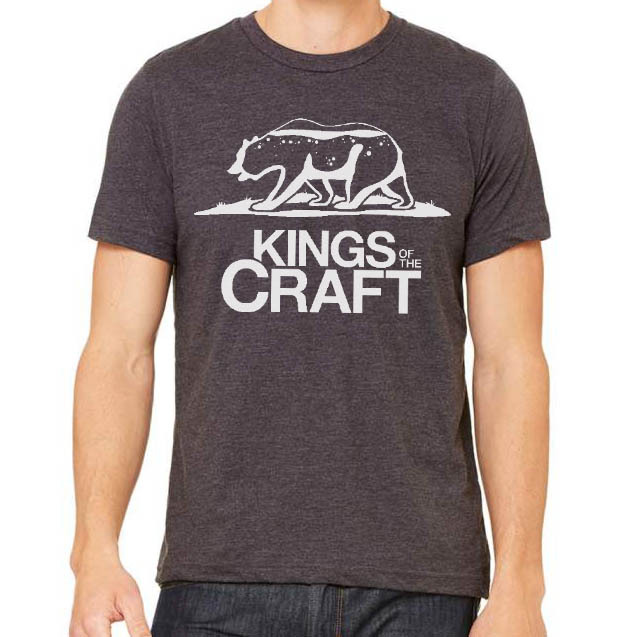 Official logo tee of "Kings of the Craft", a documentary television series which looks at the rise of the craft beer industry and community in San Diego, California. 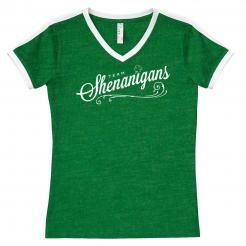 Printed in environmentally friendly water-based discharge ink. The black tee is 100% ringspun cotton and the grey is a soft 52/48 cotton/poly blend heather tee.